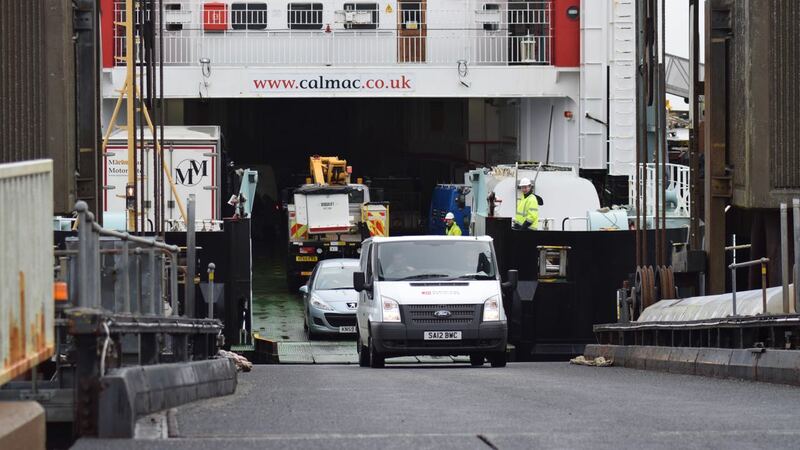 Thursday the 24th of March is the last day of CalMac’s Winter Timetable. From Friday the 25th of March the Clansman is our dedicated vessel. So it is farewell to the ‘Lord of the Isles’ (LOTI). to facilitate the change from the winter to summer timetable. The vessel appeared to be busy with vehicular traffic. After unloading and loading the ferry departed at 10:42. Today she would return to Coll and then onward to Oban. The breeze overnight meant there was a slight swell at sea. However the water at the Pier and in Gott Bay was calm. As LOTI berthed the rain came on. The new Summer Timetable means we will have a sailing every day. Not only that we now have the Clansman as our dedicated ferry. This in itself means there is much needed additional capacity. In July and August there will be 2 sailings on a Saturday. This improvement was desperately needed. Note there are 2 timetables.